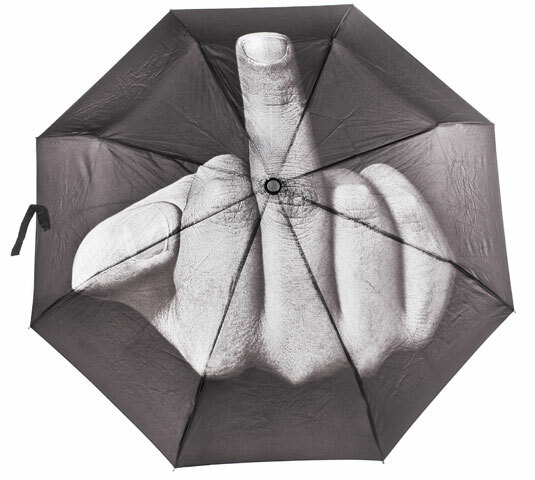 1. f**k the rain by Art.Lebedev, buy it here. 3. 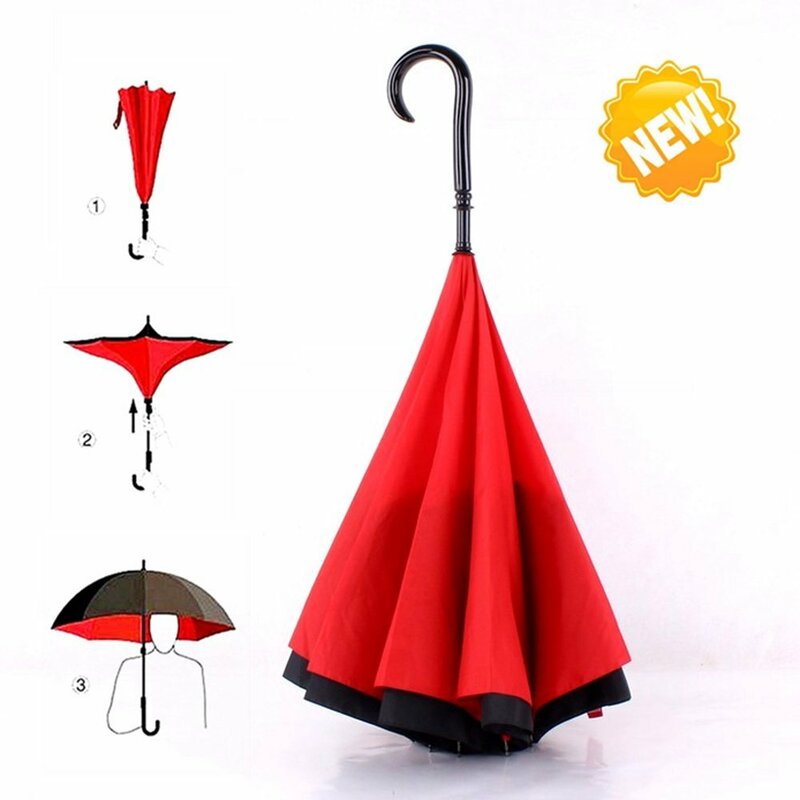 Double Layer Inverted Umbrella – very smart! 8. 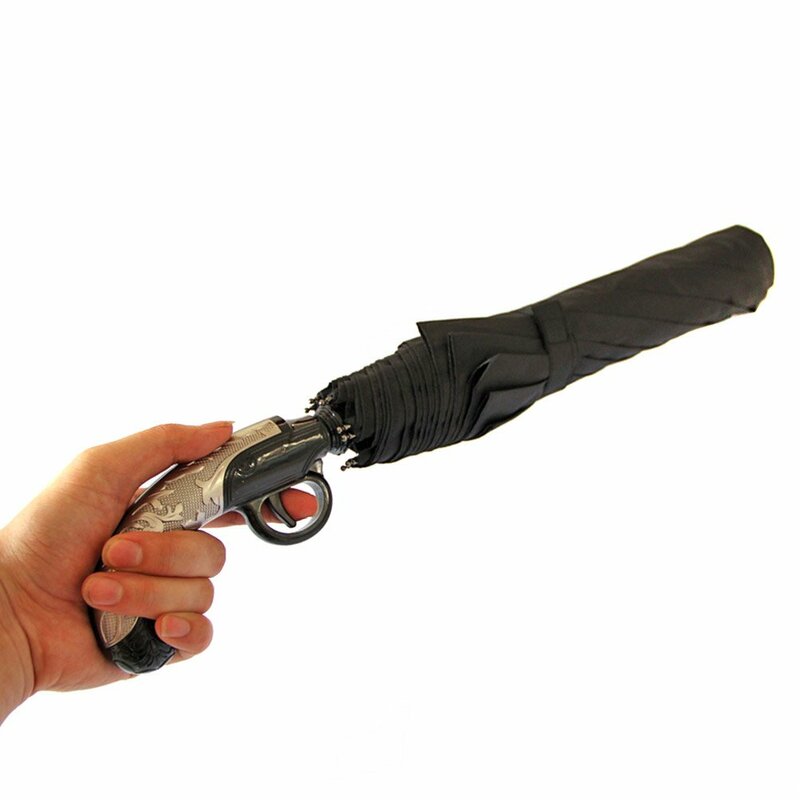 Umbrella water gun by Alexy Woolley Design, collects water in the concave top, which travels down into the water gun handle, sounds cool! 9. 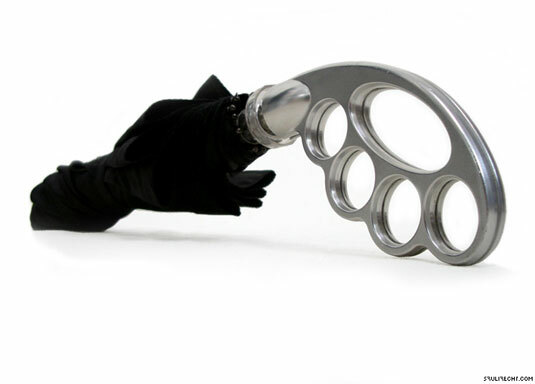 Brass knuckle umbrella, Umbrella with an ergonomically positioned knuckle duster handle . 10. 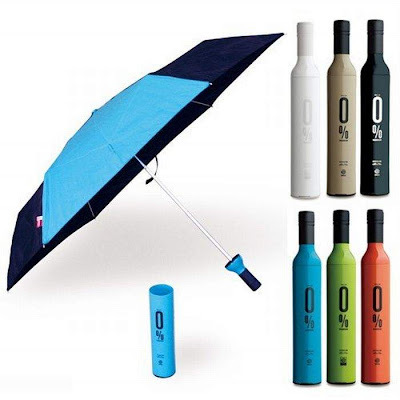 Umbrella with a drinking flask. that will make you worm. 13. 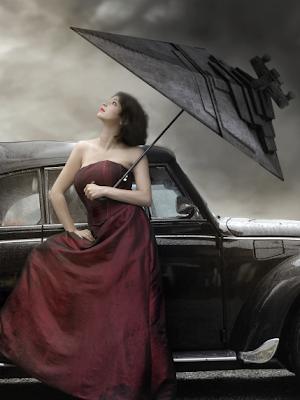 Love affair is an umbrella built for the inseparable. 14. 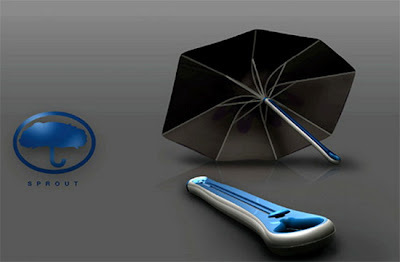 The Senz Umbrella known for its aerodynamic design. 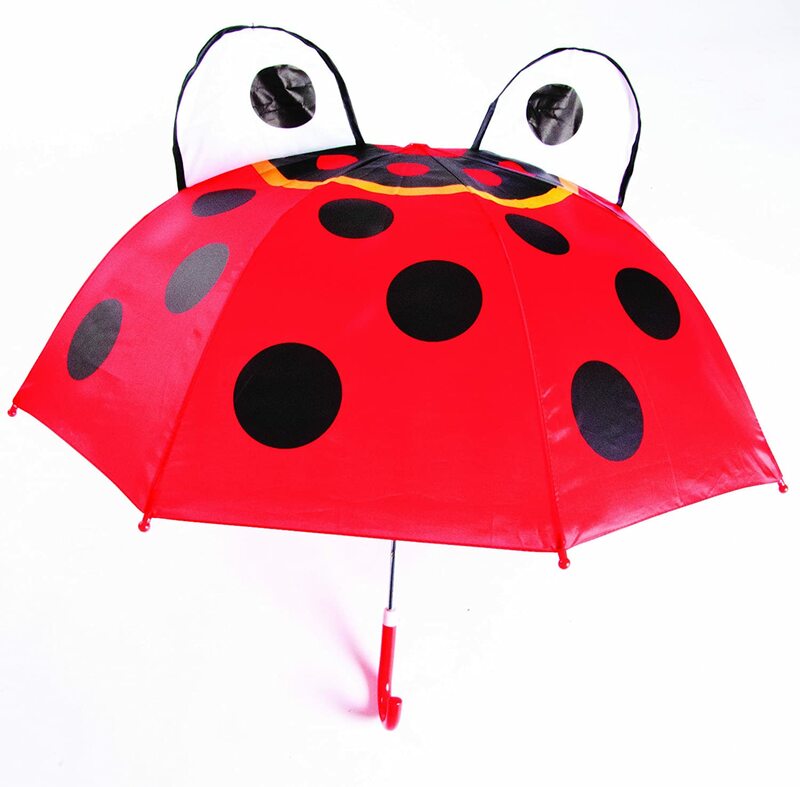 The manufacturer claims it can withstand storms up to wind force 10. 16. 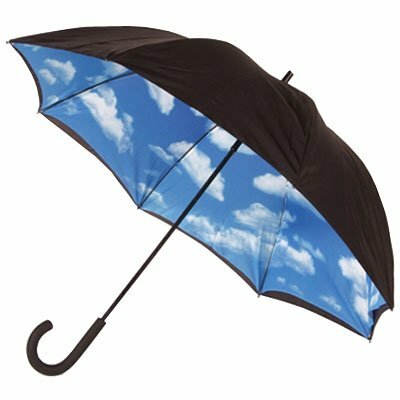 Cloud Umbrella by Joonsoo Kim is carried around in stick form, and then inflated into mini-cumulus clouds of protection when the rain starts to pour. 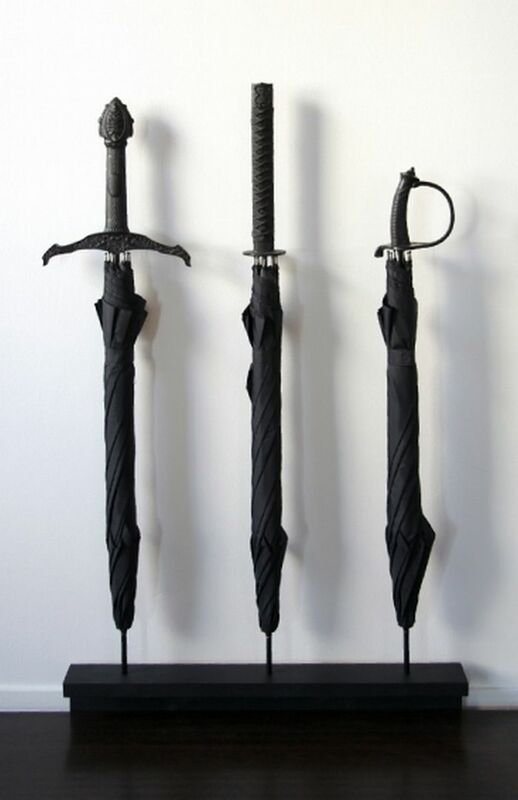 The umbrella is pumped using its pump-handle. 17. 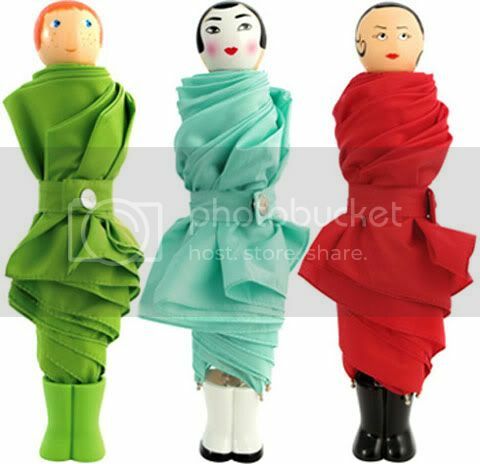 Isabrella – shape as a bottle of wine, comes in many colors. 20. 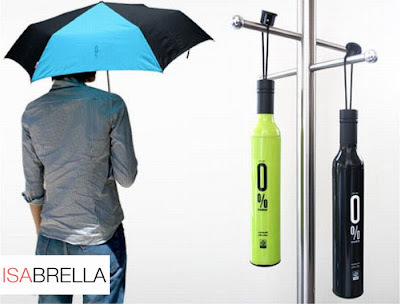 Metro Umbrella – will also guide you in the city. 21. 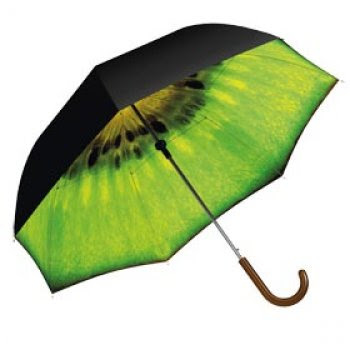 Rain Parade Mini Umbrellas – They come in six different colors, you can get one for $32 from fredflare. 23. 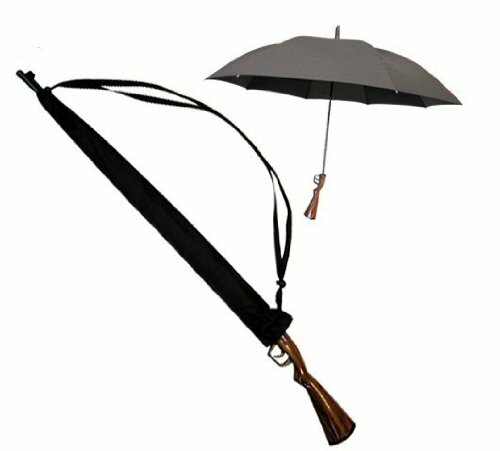 Shoulder Umbrella, a flexible accessory that wraps around your shoulder leaving your hands to take care off of other stuff. 24. 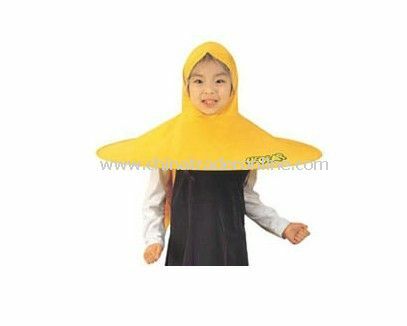 Seal umbrella – stamps wet smiley faces on the pavement. 25. 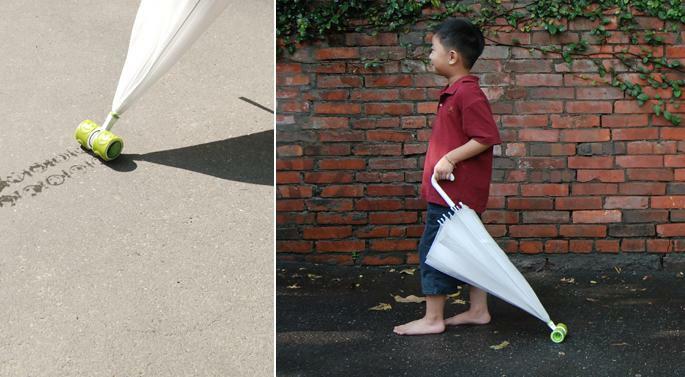 Rain-brush umbrella, use this a umbrella and use the tip of it to draw pictures on muddles. 27. 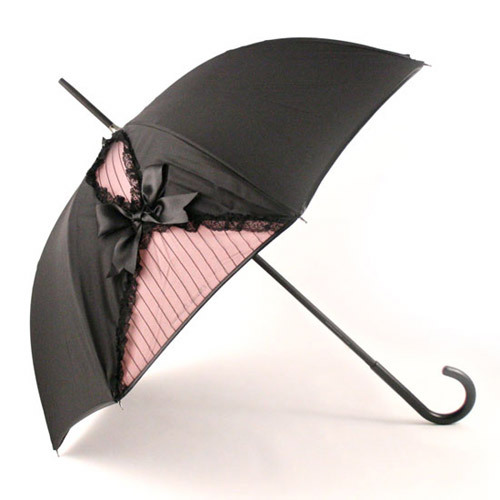 For all romantic people – The Heart Umbrella ($60) . 29. 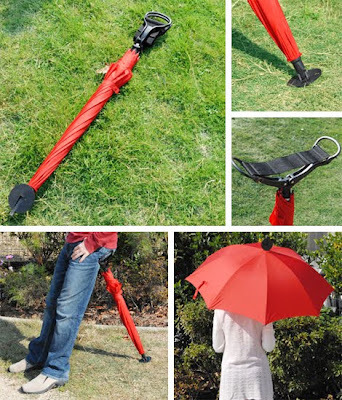 Umbrella Seat :designed to be used as a seat. 30. 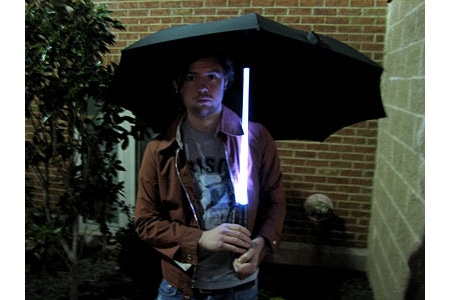 Starwars Inspired Umbrella – A unique triangular shaped umbrella that folds up just like any other ordinary umbrella. 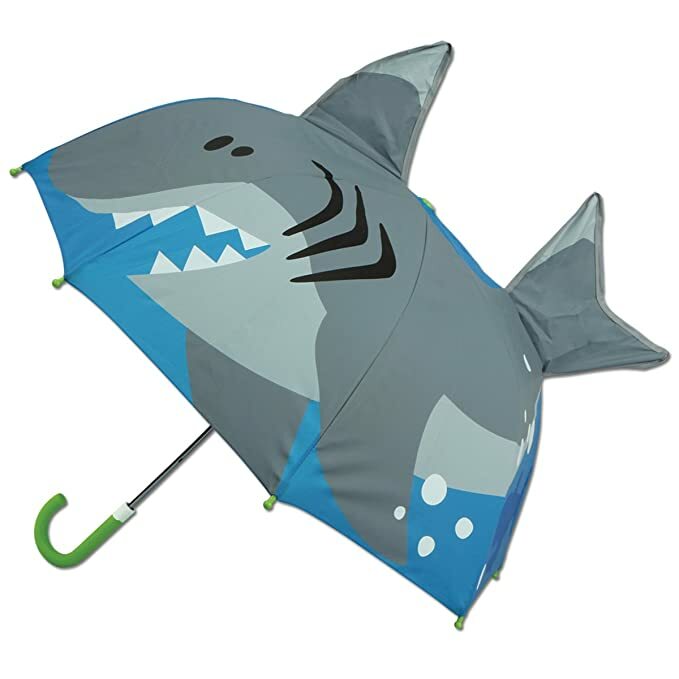 But unlike other umbrellas, this one can withstand the force of a hurricane. Or an attack of a rebel fleet. In space. Warp speed stylez. 31. 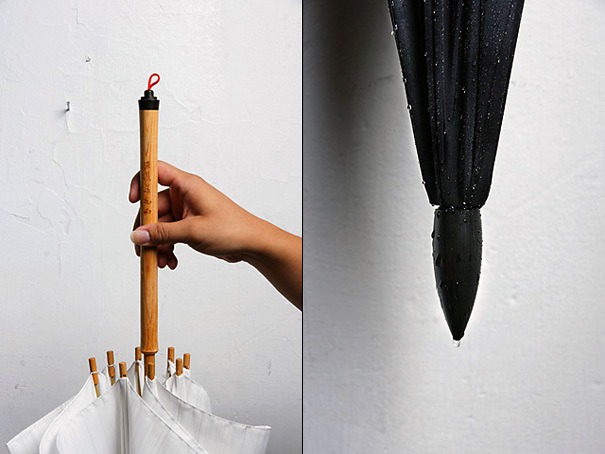 Rain Drum, a recent work from a South Korea-based designer Dong Min Park. 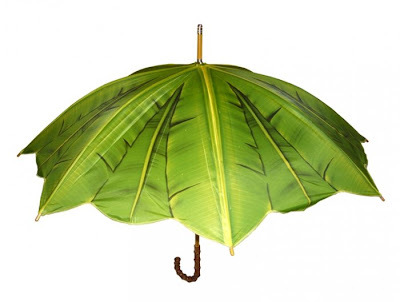 The shade of the umbrella is made up of five different wax cloths, to imitate the different frequency of the hi-hat, crash, tom-tom, bass and snare. 33. 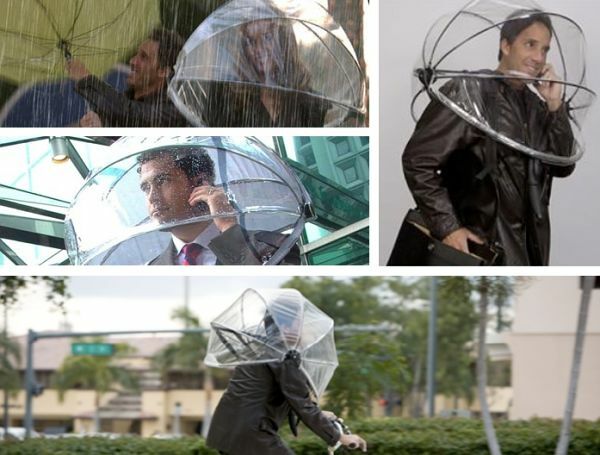 The ‘umbROLLa’, featuring a small ball in the top that enable to drab your umbrella everywhere. 39. 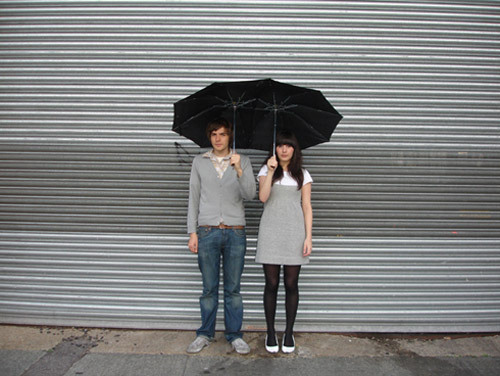 Clock Parasol Umbrella by Japanese designer Kota Nezu: the vertical lines indicating hours while the horizontal lines indicating solstices and equinoxes. It is also built with a compass on the handle, which helps you to find magnetic north. 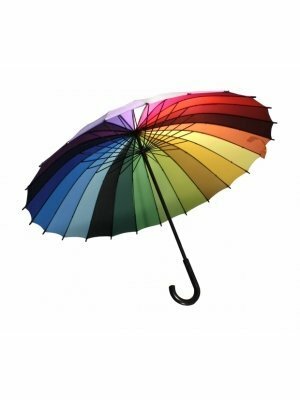 Based on those designs, you only need to place the hood in the same position of the earth, look up at the umbrella and then get an approximate time. 40. 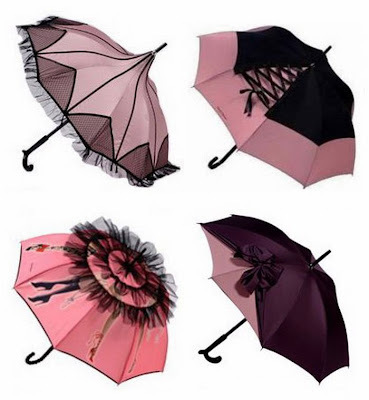 Rose Umbrella shaped like a beautiful rose in when folded. The canopy and all the hardware is enclosed in the handle. A knob on its face turns to unlock the inner mechanism. 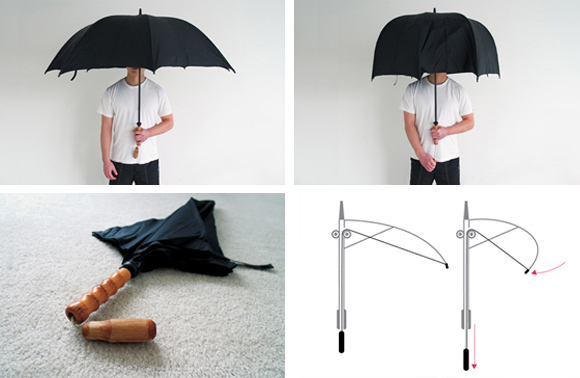 The knob slides down the umbrella, forcing the canopy arms out through the top of the shaft. 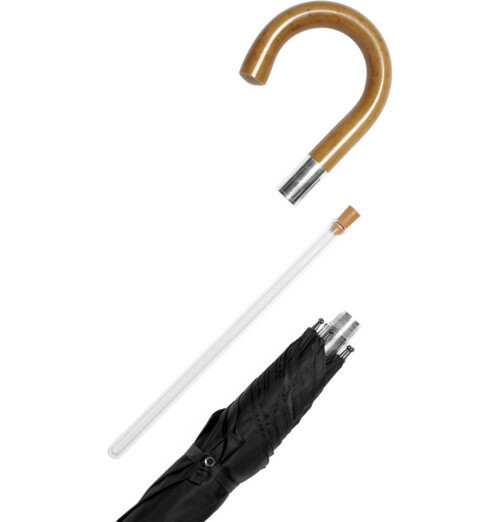 The flexible plastic arms are bent as the exit the handle, pulling the canopy with it. 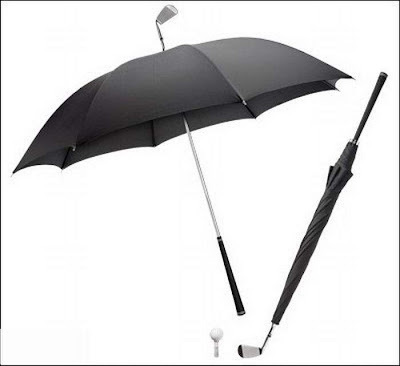 When fully open, the knob is turned back to lock the umbrella open.